There are worrying news surrounding the health of the Kurdish People’s Leader Abdullah Ocalan. 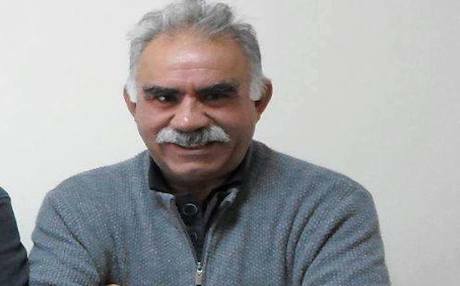 For the past two days, some circles are spreading news on social media that Mr Ocalan has died in prison. We as the Kurdish people are concerned for Mr Ocalan’s life. Recent rumours and discussions in the Turkish media as to whether he is still alive has created grave concerns amongst the Kurds in Turkey, Middle East and Europe including the EU. Everyone is aware of our people’s and its party’s sensitivities regarding the health and life of the Kurdish people’s leader. With this in mind, it is imperative that the news that is being spread are not falsified. The State Prosecutor of Bursa’s statements are not in any way sufficient. It is a fundamental right of his family, his legal representatives and the public to be informed of Mr Ocalan’s health. For this reason, Mr Ocalan must urgently be allowed a visit from his lawyers and family. It is not possible for our people to believe an unofficial statement from the State Prosecutor of Bursa. We will continue to be concerned until we receive news from Abdullah Ocalan from a reliable source. Erdogan’s AKP Government is directly responsible for the security and health of Ocalan and any harm that may be suffered by him. His lawyers and family have the right to receive direct information about his situation. • We call on the Committee for Prevention of Torture (CPT) to intervene to ensure that the necessary information needed in this situation is obtained. • We call on all Kurdish and democratic groups to take action and demand an explanation over Ocalan’s health and security situation. • We call on the international forces which handed Ocalan over to Turkey on 15thFebruary 1999 to intervene in the name of humanity and their collective responsibility in his captivity and later trial which was found to be unfair and he was found to be subjected to psychological torture, under European Convention of Human Rights (ECHR). Published on the website of the KNK on October 17, 2017.